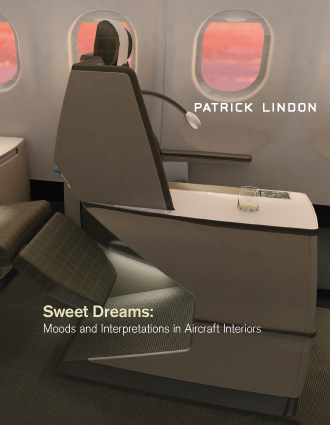 Seven concise statements on Moods and Interpretations in Aircraft Interiors from a designer’s perspective, including the translation of corporate identity into the third dimension, colour, light and form, human factors, tranforming dreams into reality, maintenance issues and visions for the future. Boldly illustrated with sketches, renderings, technical drawings and full colour photographs. 11.5 x 14.8 cm, 36 pages, 18 illustrations, English. Karo Publishing, Basel, March 2011. Published mainly for airlines looking for external design expertise, this trade journal spotlights the leading agencies from around the globe. 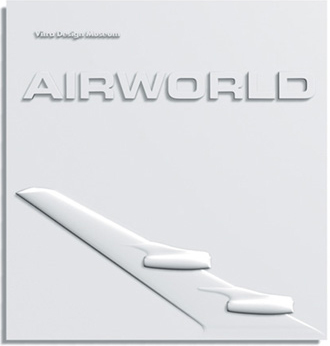 Each studio presents its unique perspective on the sector, while referring to their most recent and relevant projects – from first class to economy, from the A380 to the 787, from seats to check-in desks and uniforms. 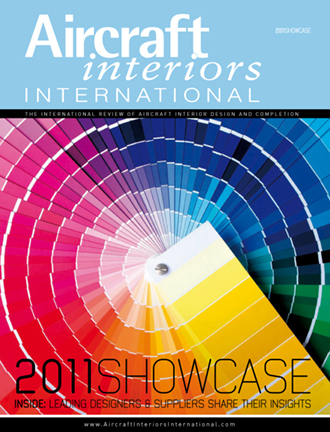 The 2011 Showcase provides an unrivalled resource for anyone working in the aircraft interiors business. 23.6 x 30.6 cm, softcover, 128 pages, English. UKIP Media, Dorking, November 2010. Aircraft Interiors – The Basics. 11.5 x 14.8 cm, 36 pages, 22 illustrations, English. Karo Publishing, Basel, March 2009. On the way to a multi-cultural society, products are required that are understood beyond the cultural borders. But what identifies or characterizes young European design? The answers are several and varying, rather than just one. Some of the works that were subjectively selected here have been awarded the highest design awards, other are still in concept phase or are waiting for a manufacturer and marketing as prototypes. 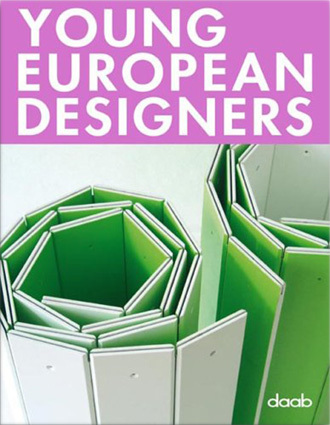 The book shows what is happening in the young European design scene. 9 x 7 inches, hardcover, 399 pages, English. Daab Publishers, Cologne, April 2008. 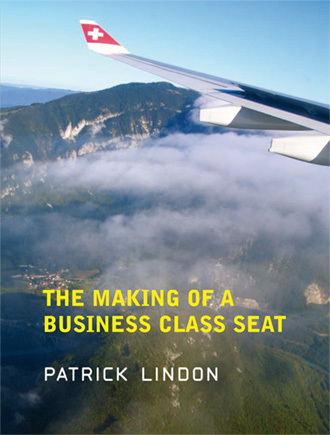 Contains a story about the most space-efficient Business Class seat, designed by Patrick Lindon for Swiss International Air Lines. 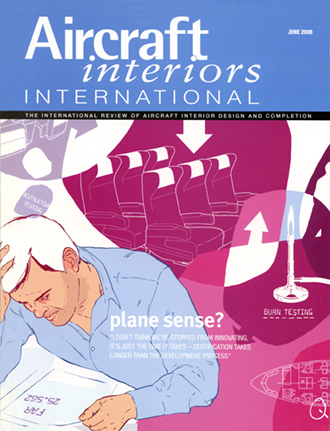 Aircraft Interiors International is a valuable resource which helps to define current benchmarks in aircraft seating and interior design development. The online portal features weekly industry news updates, blogs and archives of recent issues. 23.6 x 30.6 cm, softcover, 105 pages, English. UKIP Media, Dorking, June 2008. The story behind the first implementation of the Vantage Suite, an innovative and lucrative concept in airline seating, created by Thompson Aero Seating and designed by Patrick Lindon. Concisely presented with background information and reflection on the design process concerning shape, colour and space, from LOPA to final rendering. 115 x 148 mm, 36 pages, 21 illustrations, English. Karo Publishing, Basel, March 2007. A report about the rebranding of the cabin interior of Swiss International Air Lines. 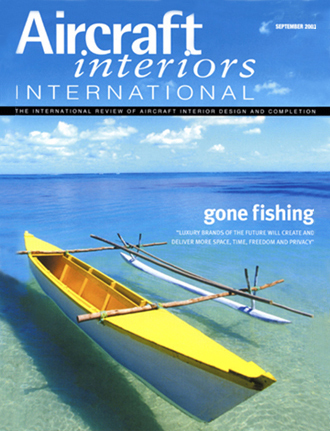 Axis Magazine promotes original design and reports about concepts and information on the cutting edge. Axis Inc., Tokyo, August 2006. The dream of flying has preoccupied man since time immemorial. The fascination of discovering distance destinations and overcoming distances quickly resulted in the demand to optimize travelling times from the aspect of comfort. Meanwhile, airline companies offer their passengers a wealth of on-board possibilities: Relaxing sleep in a bed above the clouds with a generously sized area for maximum of privacy is not just available in First Class any more today. 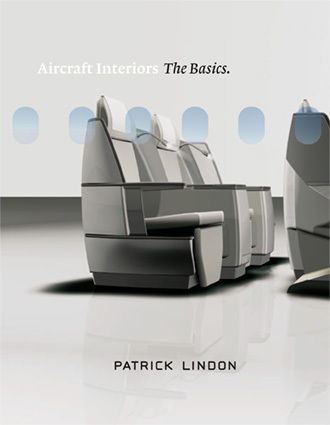 This book takes you behind the facades and provides a comprehensive look at exciting and impressive aircraft cabin interiors. 9 x 7 inches, hardcover, 399 pages, German, English, Italian, Spanish, French. Daab Publishers, Cologne, March 2006. This issue features the design concept for Herti 6, a housing complex in Zug, Switzerland. 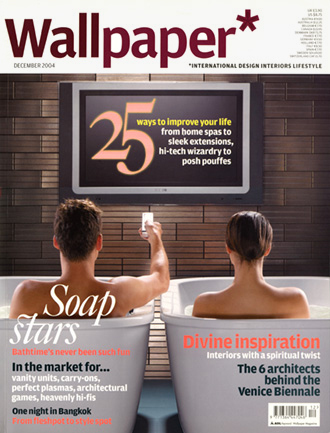 md Magazine is known for it’s international reportage on modern furniture and interior design. 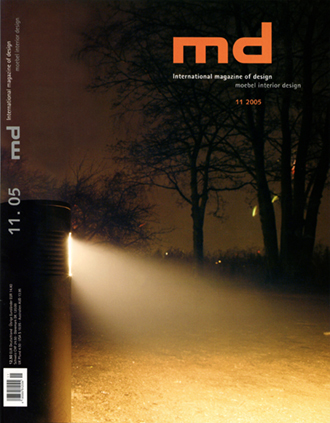 MD Magazine, a monthly publication by Konradin Verlag, Germany, November 2005. 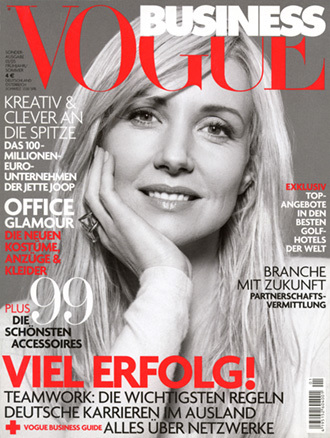 Patrick Lindon’s T71 Modular Furniture was featured in the January 2005 issue of Vogue Business. His aluminum desk with sleek black tabletop is considered to be purist in form. Vogue Business, quarterly publication. Munich, January 2005. 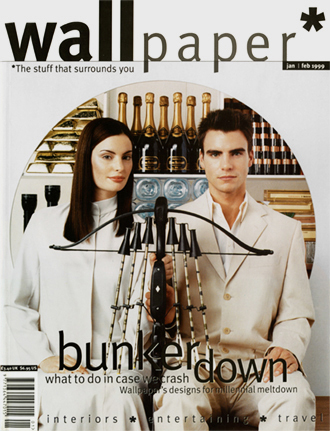 Wallpaper* Magazine was launched in 1996 by Tyler Brûlé and Alexander Geringer. It focuses on travel, design, entertainment, fashion and media. IPC Media Limited, UK, December 2004. Civilian air travel not only created its own technical standards, but also produced its own aesthetic: cabin interiors, airport architecture, airline corporate design, flight attendant uniforms, and tableware. This book is dedicated to the designers, architects, graphic artists and fashion designers that created this world. Nine richly illustrated essays explore the history of air travel from the perspective of design and architectural history. 25 x 25 cm, hardcover, 296 pages, 400 illustrations, English. Vitra Design Museum, Weil am Rhein, June 2004. 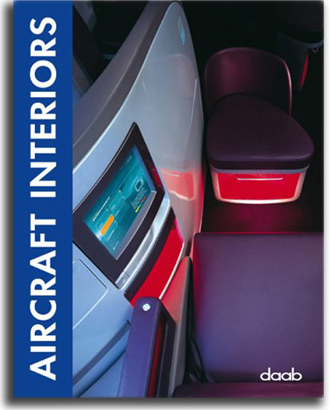 The story of the development of the new cabin interior of Swiss International Air Lines after the grounding of Swissair. 23.6 x 30.6 cm, softcover, 105 pages, English. UKIP Media, Dorking, September 2003. 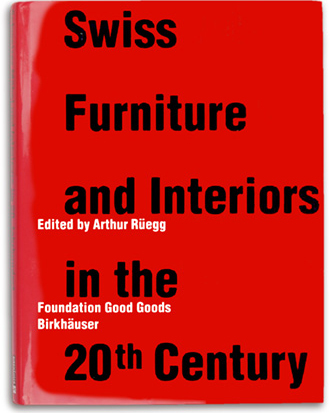 For the first time, the development of interiors and furniture in Switzerland from the end of the nineteenth century to the present day have been surveyed and documented. This book is a fascinating compendium of the great classics in Swiss design, with rare early works and countless new pieces. This indispensable standard work has been produced in collaboration with the Design Collection of the Zürich Museum for Design, the Society for Swiss History of Art in Berne and the Swiss Federal Institute of Technology in Zürich. 11.7 x 9.2 inches, hardcover, 448 pages, English. Birkhäuser, Basel, June 2002. 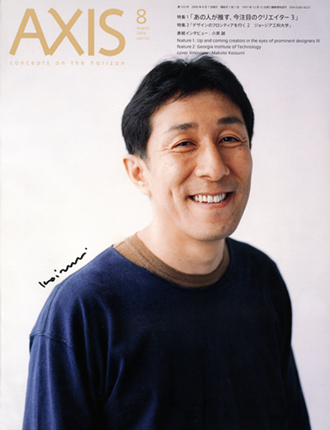 IPC Media Limited, UK, January/February 1999.